The FreeMotion™ Tech Tee with Welded Vent is the ultimate combination of style and comfort. Polyester cool-mesh fabric will keep you cool and dry, and mesh side panels will keep you ventilated and dry where you need it most. The Tech Tee is perfect for training or as a foundation layer for any weather condition. 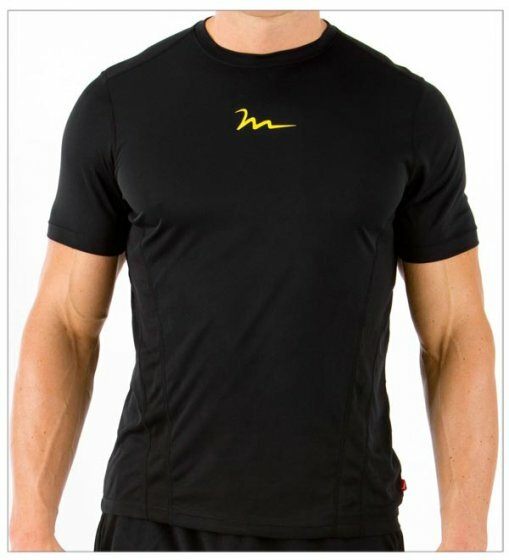 A Freemotion logo decorates the chest, giving your workout just the right amount of flair. The FreeMotion™ Tech Tee with Welded Vent is the softest, smoothest, best-looking short sleeve tee shirt available anywhere!